If you’re a tech leader struggling to find your business accelerator, talk to us. We’re the growth experts. Our three step system develops the strategies that will resonate in your market, the services to make it actionable and the growth capital to fuel it. Our advisory services will identify how to create products that connect to more buyers and build sustainable business models for growth. Our growth capital is focused on accelerating your strategic business development initiatives and extending your financing runway to 18 months. Our consulting services work with your team to turn your strategy into a predictable, reliable roadmap that keeps your execution on track. The leader in providing donor engagement solutions to nonprofits. We are currently engaged in working with the management team and board to build a $100m business through organic product growth, business development and acquisition. PEP led an $8.5m Series A round and owns 40% of the business. The company recently signed an exclusive distribution agreement to provide giving systems to LifeWay’s 54,000 churches. The leader in the management of unstructured data (according to Gartner). We developed the companies strategy for growth, led a $10m financing round, acted as Executive Chairman of the business for 30 months and led the sale of the company for a strategic multiple to IBM. The business and its team are now strategic cornerstones of IBM’s Big Data strategy in Enterprise Content Management. 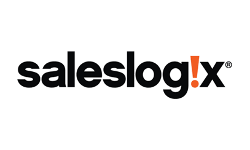 The leader in B2B collaborative commerce solutions. We led the company from its post-startup phase of $1m in revenue to a breakout leader in B2B commerce serving the development of trading communities in health care, logistics and financial services. After building the business to $35m, it was merged with Axway and has now grown to a $360m business that is publicly listed on the Nasdaq exchange. Cyclone’s management team drove the growth and IPO strategies. The leader in providing CRM solutions to the mid-market. We supported the growth of the company from a $2m startup to $110m business and a successful IPO on the Nasdaq. The paths to profit and growth included both new internet-based interactive selling networks and the acquisition of ACT! from Symantec. The company was acquired by Sage for a strategic multiple and is now part of their SMB portfolio of products. The leader in providing Audience Intelligence solutions for brand marketers. We participated with S3 Ventures, financing the technology investment to build a network that covers 90% of US consumers and households and a $9m round to merge the business with Qualia, a NYC-based adtech firm. PEP owns 20% of the new business. The company currently serves more than 200 brands directly and through its partners, is growing at 50% CAGR and projected to be profitable by YE 2018. The leader in managing the distribution of software across corporate networks. We were part of the founding team that launched the business and fueled the marketing strategies that developed a leadership position in the Distributed Systems Management space and growth to a $77m business. The company was sold to HP to become a cornerstone of its OpenView platform for its patented continuous configuration. The key to our clients’ success is a reliance on the principles of business building found in Tuned In. 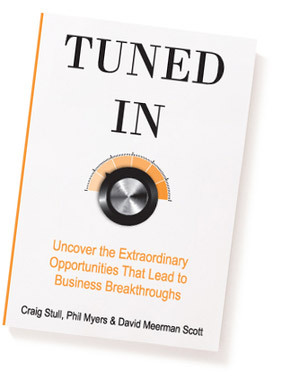 That process ‘uncovers the extraordinary opportunities that lead to business breakthroughs’. Every business has its growth accelerator within it. We help you find it, align to it and develop it. © 2018, PERFORMANCE EDGE PARTNERS LLC. All Rights Reserved.